anything. 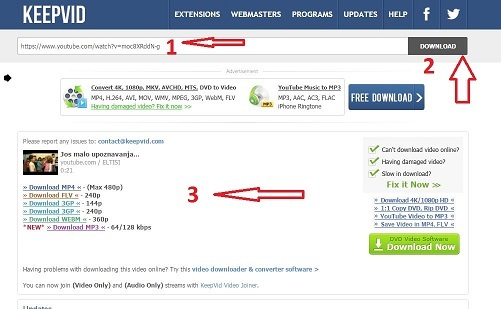 Just go to the http://keepvid.com and insert the URL of the video you want to download (1). Then click the download button(2), choose the format and size you need (3) and VOILA – the video is on your computer! Videodownloader Ultimate is a software you need to download on your computer. It is not difficult and it is free. Go to this link https://videodownloaderultimate.com/en/?cid=chrome and download the software onto your computer. After downloading, you should see the video downloader icon on your computer. When you click this icon you should see the list of available videos for download which are open on your computer. (see image on the right). When you open your browser, check if there is a BLUE ARROW in the top right corner of your screen. Now, got to the website containing the video you wish to download (it does not have to be Youtube). Make sure the Video Downloader Ultimate is running. Start playing your video. Once the Video Downloader Ultimate has recognized a video or playlist, the blue arrow will blink yellow a few times. A good thing about this software is that you can download a few videos simultaneously. 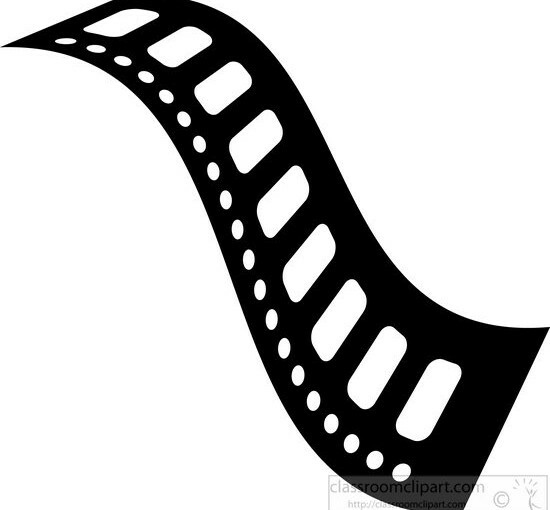 Videodownloader Professional is another useful tool but only for Google Chrome users. Again, no need to download software. Just add this extension to your GoogleChrome and a new small icon will appear in the top right corner of your screen. Now, go to the youtube video you wish to download and you will notice a green DOWNLOAD button below the video. Click on this button and choose the size and type of the video you wish to download. Click on this option and the download starts automatically. There are many more free software and different ways of downloading videos from the Internet, but these are just a few which I found useful and easy to use. Next Next post: Why Moodle and not some other LMS?